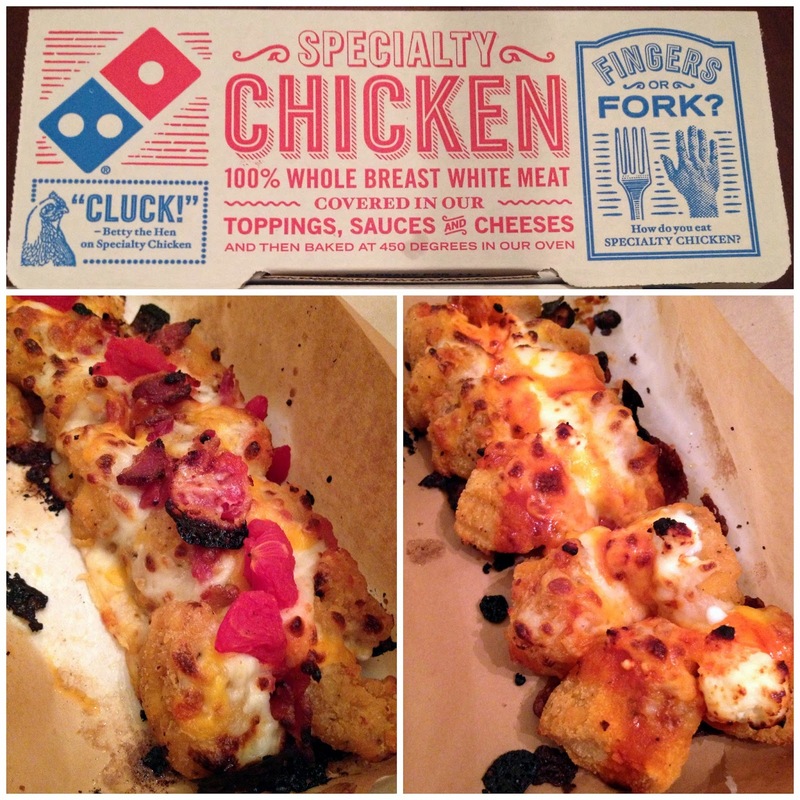 Contrary to what Eater reported, Domino's Specialty Chicken doesn't really qualify as "pizza with a breaded chicken crust," but it's as good a description as any for the pile of fried chicken chunks fused together with cheese and drizzled with assorted sauces. Whatever the nomenclature, it's hard not to like this marriage of appetizer and main course. We tried the Classic Hot Buffalo and the Crispy Bacon and Tomato offerings, and both were great, albeit small. When I opened the box and saw that they were no bigger than a French bread pizza, I was disappointed, even though you get at least a dozen chunks of meat that actually have the taste and texture of chicken. This turned out to be a good thing, however, because it forced me to control my portions. Granted, I went to bed hungry, but at least I could look myself in the mirror when I woke up. Right now, you can get two for $5.99 each. I strongly recommend ordering six. Buen provecho. That picture looks delicious. Thank you for your input about these new chicken appetizers. I will definitely order two.